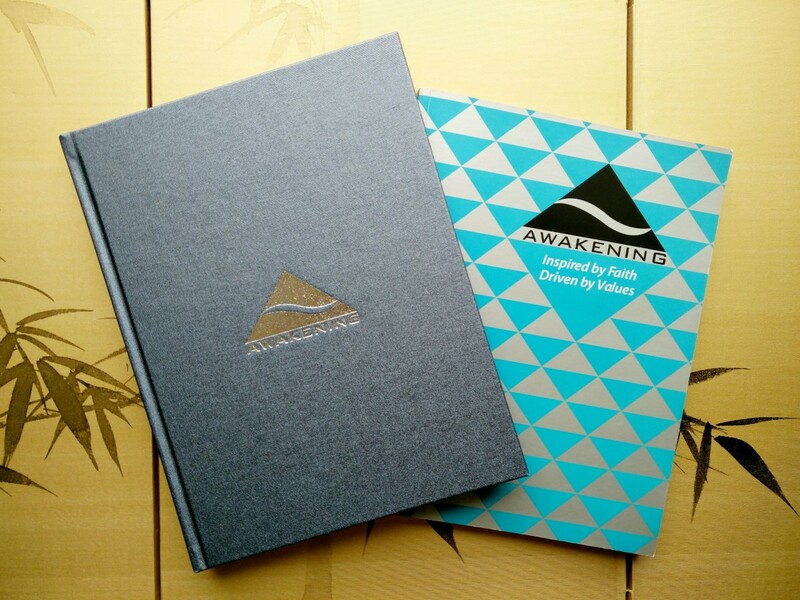 I was commissioned by the global music and publishing company, Awakening, to be the editor of a bespoke MagBook (a cross between a magazine and a book) that profiled its founders, artists, vision and works. 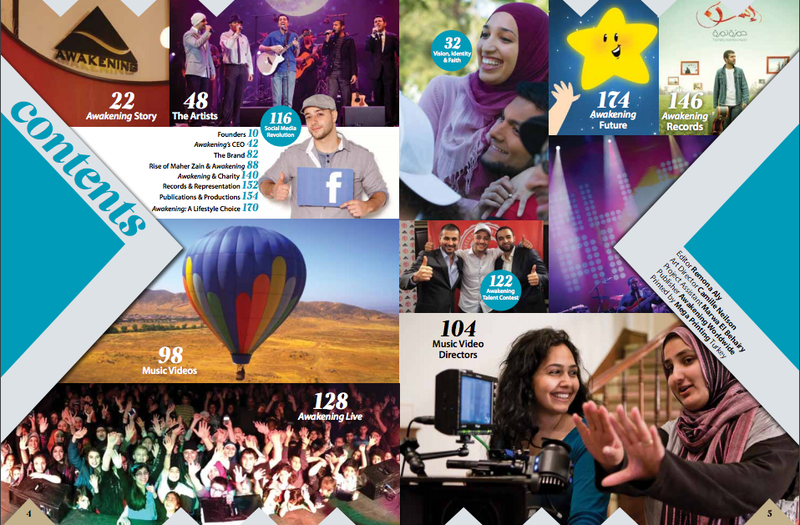 I worked closely with the MagBook’s specially commissioned Art Director to produce a vibrant 176 page MagBook. 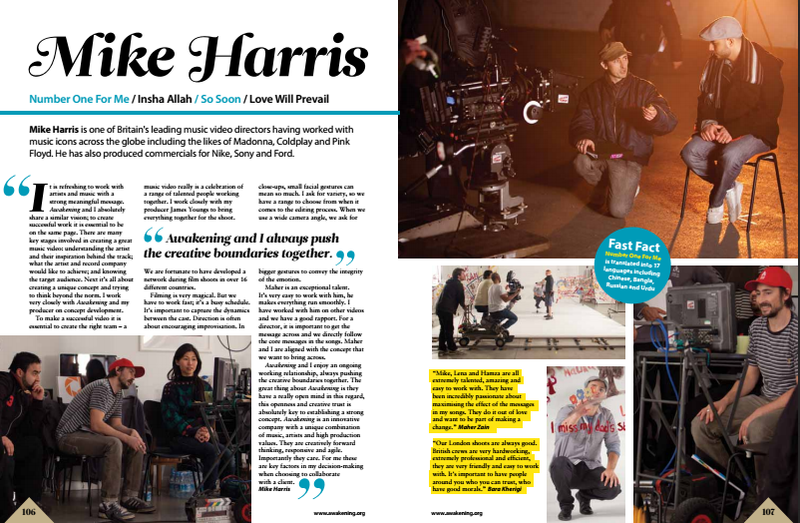 This project involved extensive interviewing of video film directors, including Mike Harris who had previously worked with Coldplay, Pink Floyd, Sony and Nike; as well as interviews with up and coming directors in line with Awakening’s vision to nurture fresh talent. 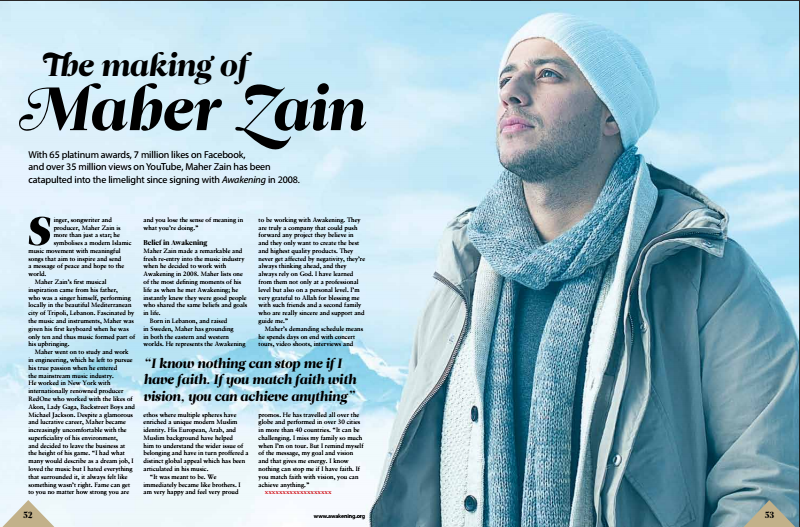 I also interviewed Awakening’s internationally renowned musicians, including Maher Zain who is Facebook’s most popular faith based artist with over 26 million likes. 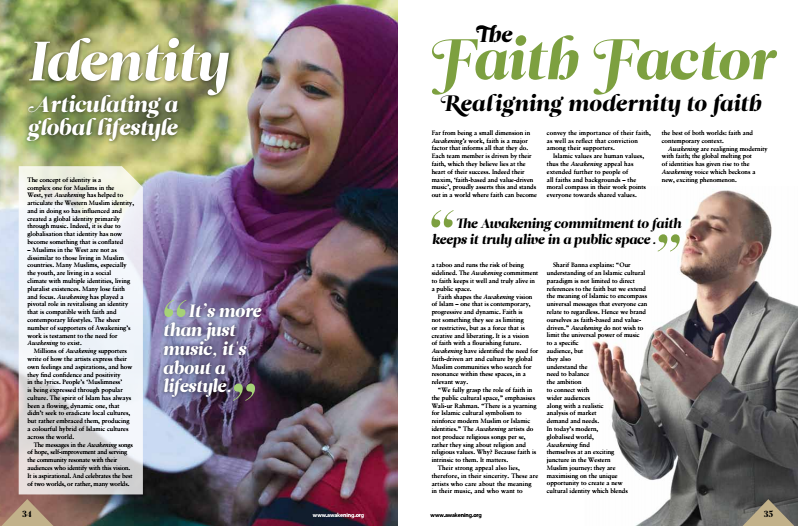 The MagBook explores the notion of a global Muslim identity, and how Awakening is becoming an influential brand that fuses creative flair and faith-driven values with contemporary relevance. 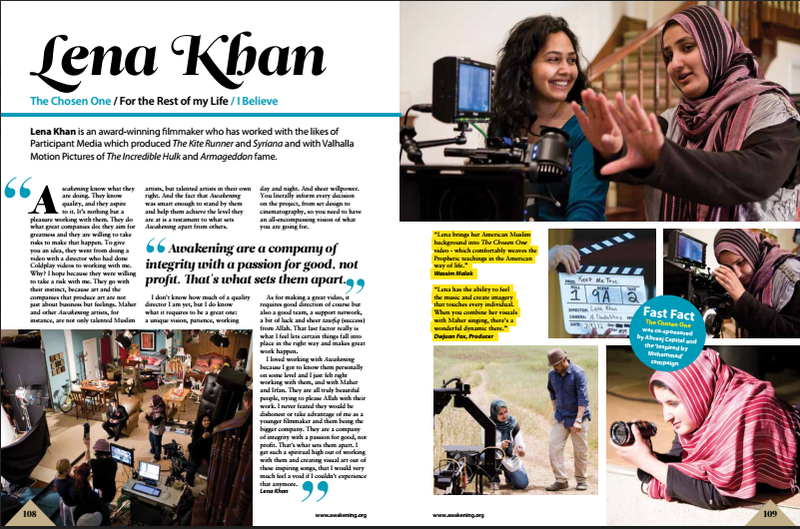 Initially founded by British Muslims who catered for a British audience, Awakening has grown over the years to reach diverse global audiences. 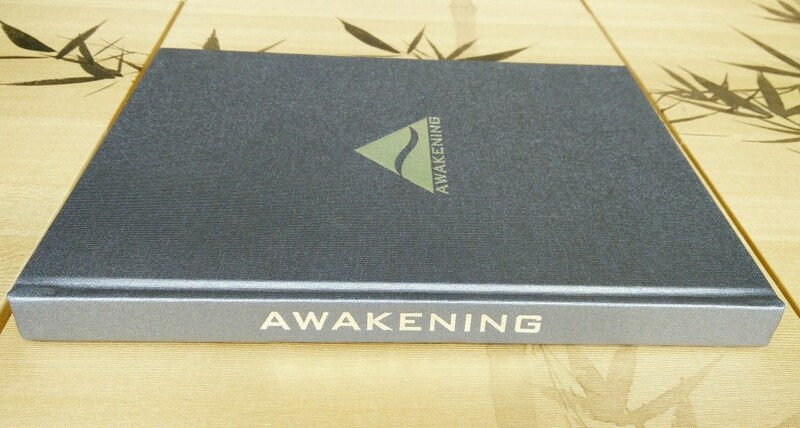 For more information about Awakening, click here.